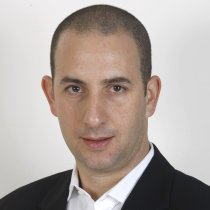 Boaz Mishaan joined Retalix in 2003 as VP of Marketing for StoreNext Israel, and in 2008 was promoted to a VP position in the International Business unit. Prior to his employment at Retalix, he worked as a senior consultant for Price Coopers Consulting USA, and as the CRM and Loyalty project manager for the largest commercial bank in Israel. Mr. Mishaan holds a Bachelor of Business Science degree from the University of Cape Town, South Africa, from which he graduated with majors in Finance and Business Strategy.